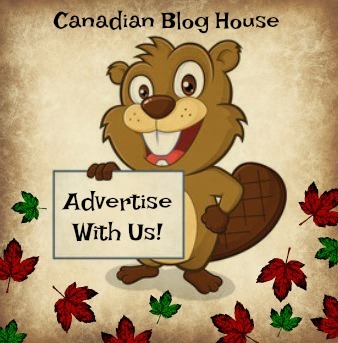 Canadian Blog House was invited on a media trip to Florida for a girls getaway with Visit St. Pete/Clearwater and VisitFlorida. All opinions are our own. The St. Pete Beach and Clearwater area has always been my favourite Florida vacation destination. My second home, as I affectionately call St. Pete Beach. It had been almost 20 years since I had been back to this fabulous part of Pinellas County. I first visited this beautiful white stretch of sand in 1980. My parents had just celebrated a special anniversary. 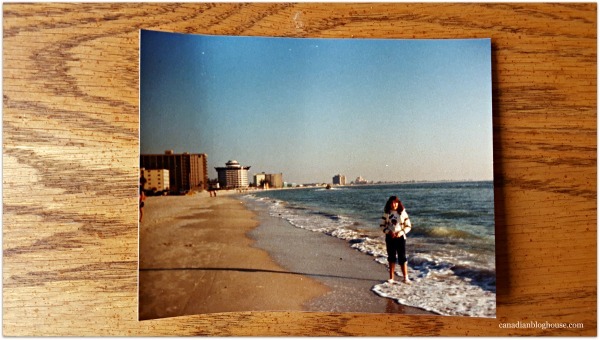 Family members got together and chipped in enough money to send them – and me – on our first trip to Florida. Of course, we visited Walt Disney World, and we loved every minute of it. 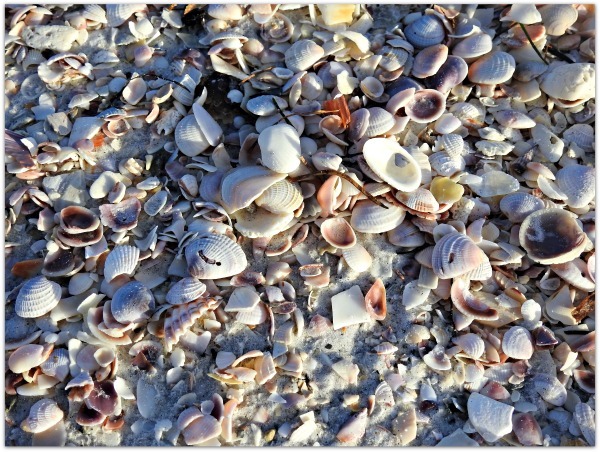 Next we stayed a few days at another great Florida vacation destination – Long Boat Key. 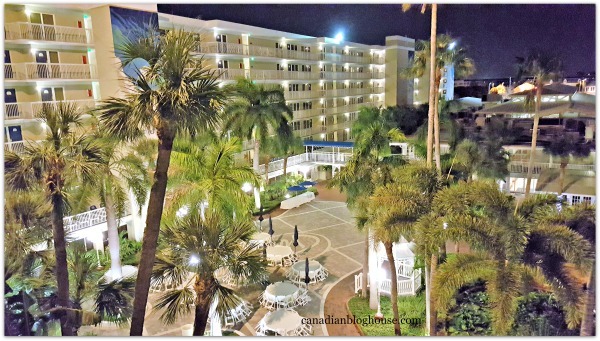 But it was our stay at the (then) Breckenridge Resort (now Bluegreen Resorts Vacations), on St. Pete Beach, that captured our hearts. 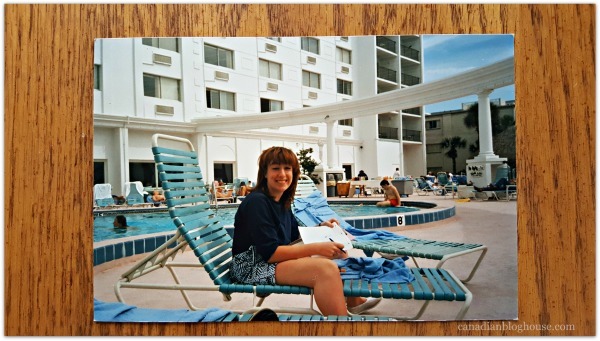 While I could tell you that Mum and Dad were coerced into buying timeshare at this fabulous resort, it was the resort, the beach, and the area, that sold itself. 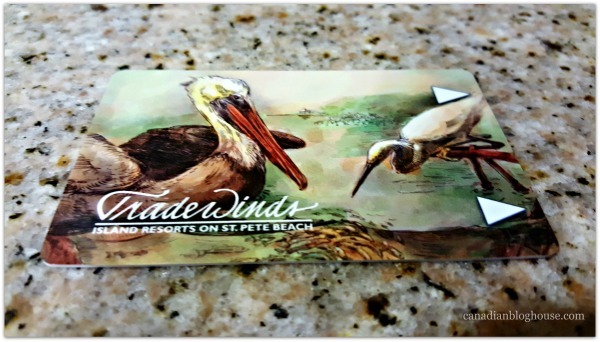 So when I found out we (Margarita, Paula, Aeryn and myself) would be making the first stop on our girls getaway at St. Pete Beach, and more specifically at the TradeWinds Island Resorts on St. Pete Beach, I was feeling some very special Florida magic – even without the mouse! 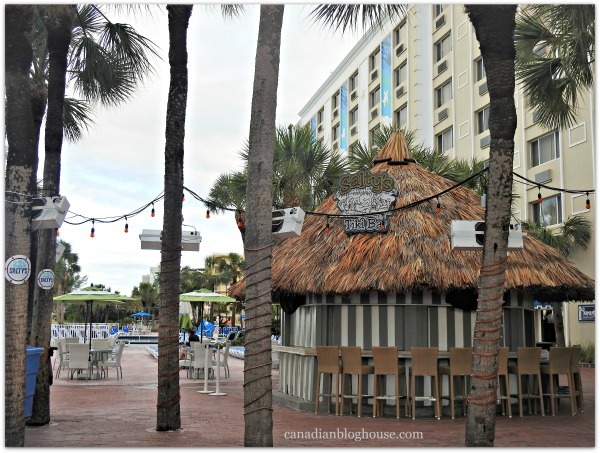 I may be a little biased but, with this recap of our first Florida vacation destination stop on our girls getaway, I’ve saved the best for last. After all, when a destination like St. Pete Beach can legitimately boast that it sees 361 days of sunshine per year – it has got to be great, right?! Oh and…just for the record, the nearby city of St. Pete holds the Guinness Book Of World Records title for the most consecutive days of sunshine – 768! How’s that for sunny ways?! 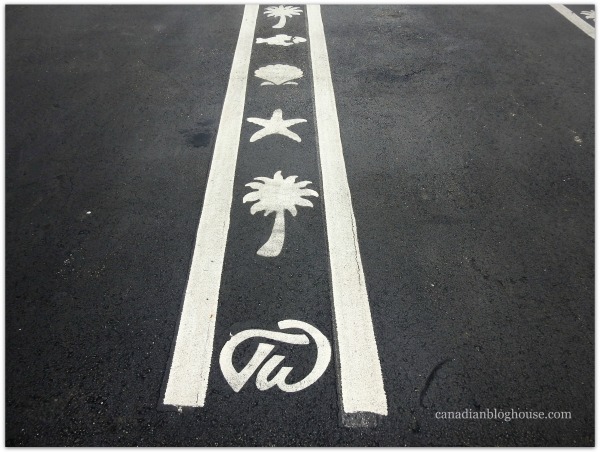 All roads in Florida lead to the TradeWinds Island Resorts in St. Pete Beach. At least they always have for me. Stepping out of the car, and walking through the doors of this magnificent resort, brought back a flood of cherished memories for me. Look! That’s the Tiki Bar where we used to sit and watch “Mitch” sing “Tiny Bubbles” on a hot February afternoon. There’s the spectacular beach full of sea shells that my mum would take be beachcombing along at 5:30 in the morning – before the sun was even up! And there’s the warm Gulf of Mexico, where we would swim every afternoon, up to our necks in salt water. 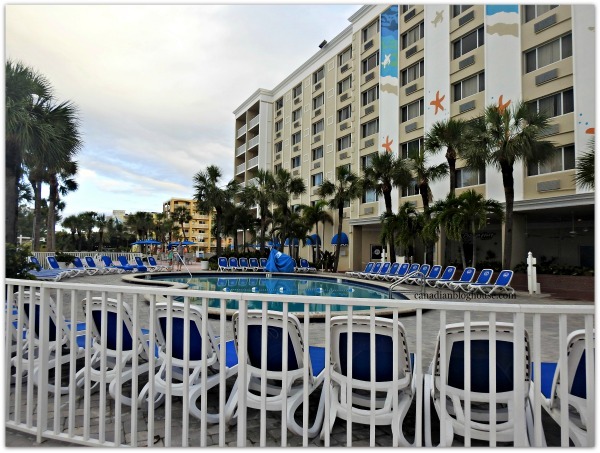 Check out the beautiful pool area, that looks out over the Gulf of Mexico! 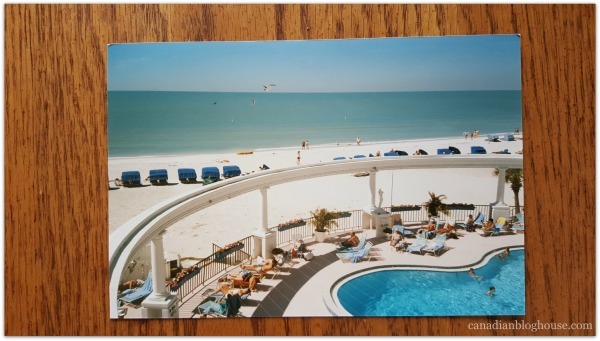 We used to lounge and watch the gentle Gulf waves roll in. Look at that gorgeous view from our hotel room. That’s the view I remember and loved so much. 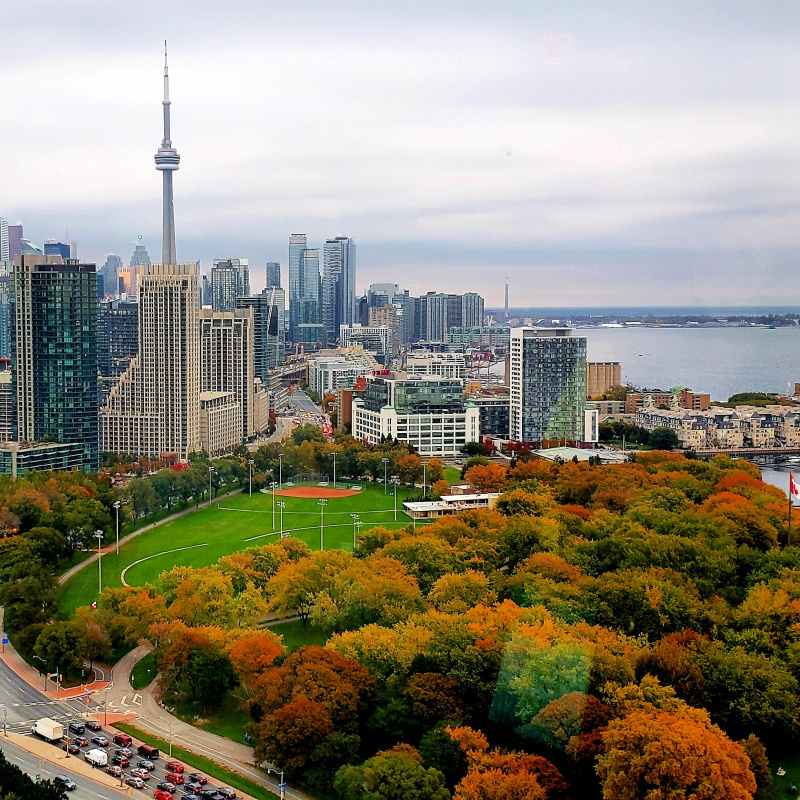 Even a cloudy day didn’t put a damper on how much I enjoyed this view again. The lounge chairs have changed. The white sculptured ring, that once boldly stood over the pool, is gone. The outer facade of the buildings has been updated. 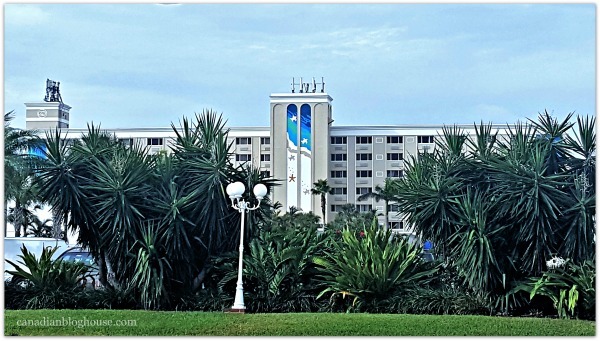 Restaurants have come and gone, rooms have been updated, and some great things have been added (like the water slide and web cams) but, overall, this is the same resort I once knew and loved. As people often say, why change a good thing?! 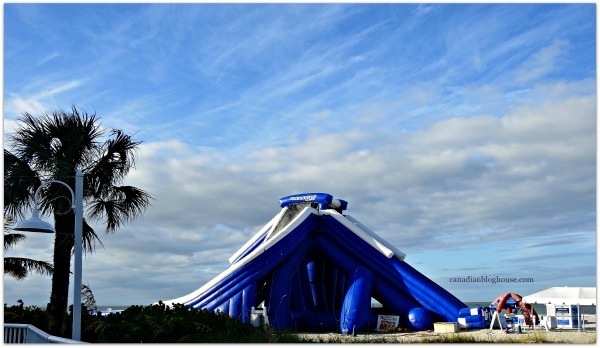 The High Tide Slide looked SO fun! We didn’t have enough time on the beach to get the chance to try it out but, I’m certain this is a great attraction for resort guests! 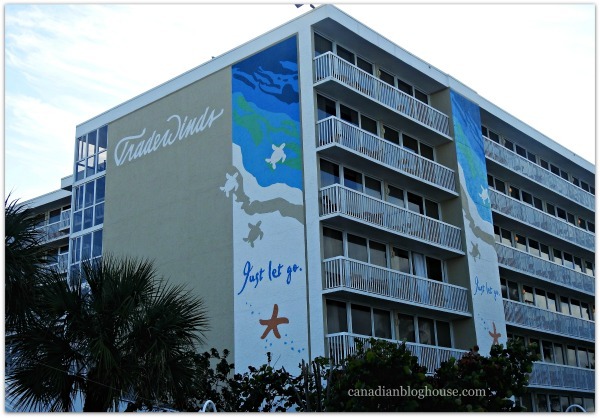 Speaking of attractions at the TradeWinds Island Resorts at St. Pete Beach, this resort offers 7 heated pools, a floating waterpark, floating cabanas, stand-up paddle boards, ocean kayaking, wave runners, banana boat rides, parasailing, and more! One of my all-time favourite memories of St. Pete Beach is the time I went parasailing. What a thrill that was! 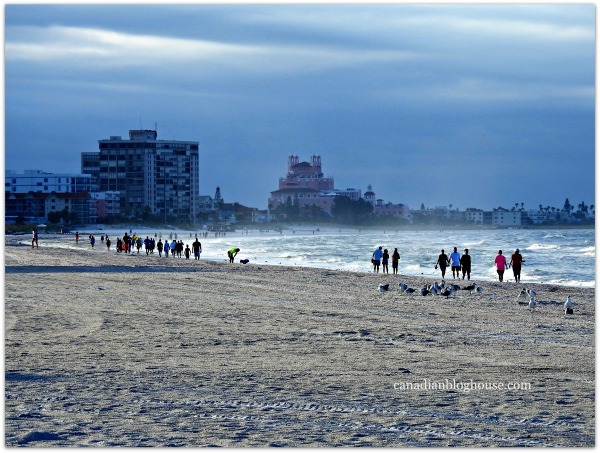 In addition to the 25 acres of fun at TradeWinds Island Resorts, guests can enjoy a rejuvenating walk on fabulous St. Pete Beach! 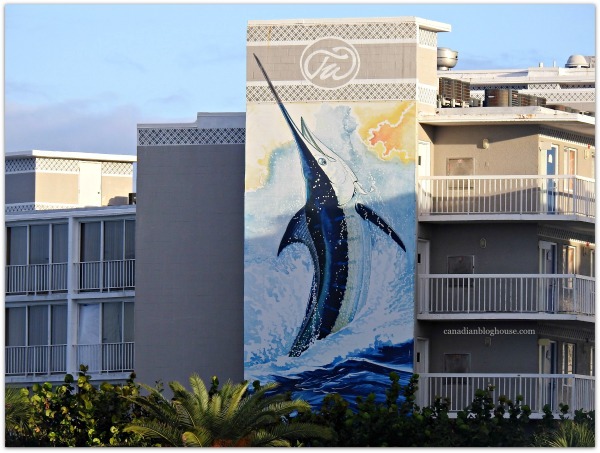 The Trade Winds Island Resorts is actually home to 2 great resorts – the Island Grand and the Guy Harvey Outpost. Kids KONK Club – including a touch tank! At the end of a busy day, participating in what seems like endless activities, there’s nothing better than coming back to a beautiful, comfortable – and spacious – guest room. 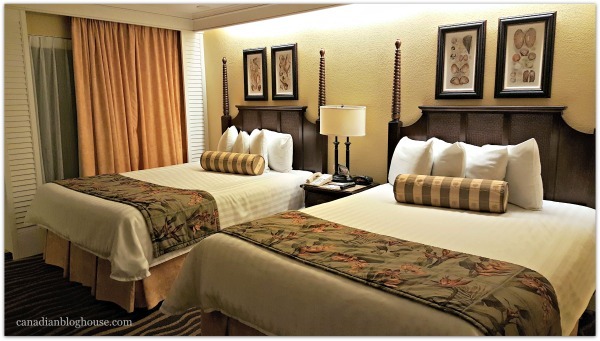 There are 37 different accommodation options for guests at the TradeWinds Island Resorts. They also have some pet-friendly suites! 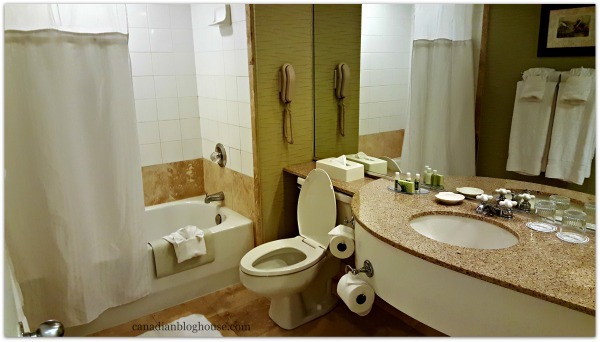 Our suite had plenty of room for two of us, including a fabulously large bathroom with equally fabulous toiletries. 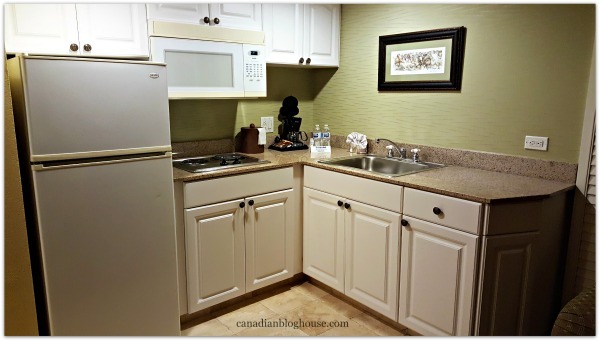 A great kitchenette, like the one we had, is a very handy, and cost-cutting feature in a hotel suite. When mum and dad used to vacation here, they always had a kitchenette. They would save money by buying groceries and eating their breakfast and lunch in their room. This way, they never felt guilty about enjoying a nice dinner at one of the restaurants in the evening. 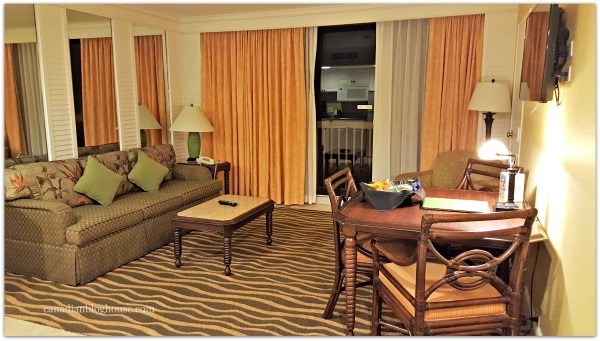 A lovely sitting area, with dining table, rounded out our room perfectly. Sliding doors that opened up to a balcony – and a spectacular view of St. Pete Beach and the Gulf of Mexico – were a welcome sight for us. 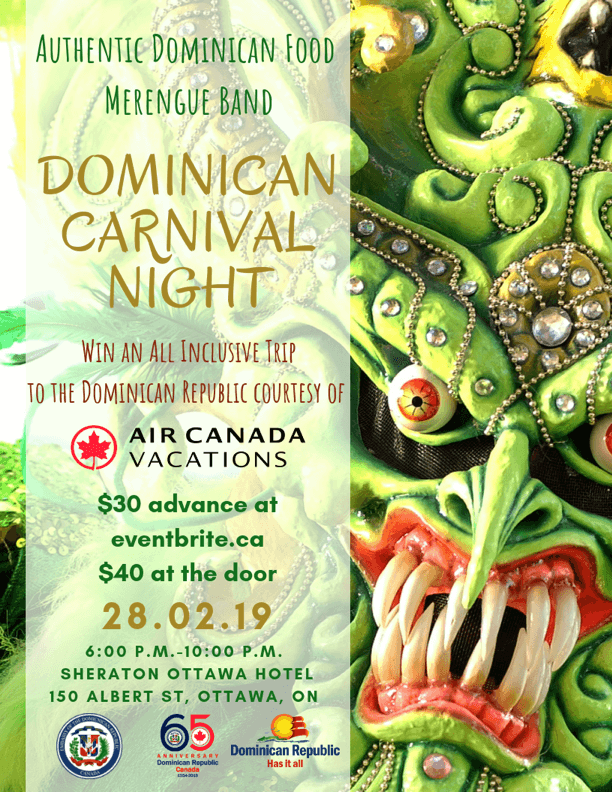 I can share with you everything that I love about this resort but, sometimes it’s something unexpected that really makes a resort stand out. Like the incredibly friendly and helpful staff that work there…and how long they have worked there. We discovered a staff member (I believe her name is Eileen or Elaine) who has worked at the resort for over 35 years. To me, that says a lot about a resort employer when they retain a staff member that long! 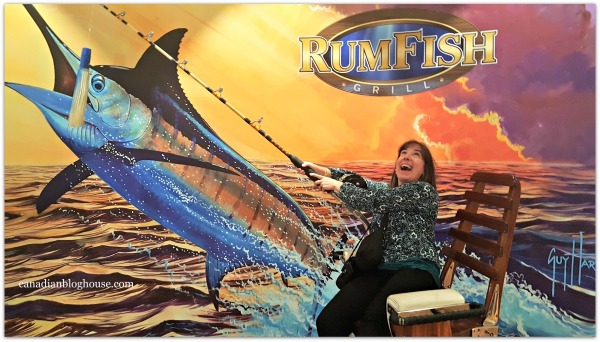 We had the pleasure of dining at the RumFish Grill at the Guy Harvey Outpost for lunch. It was here that I ordered the Blue Crab Cake. 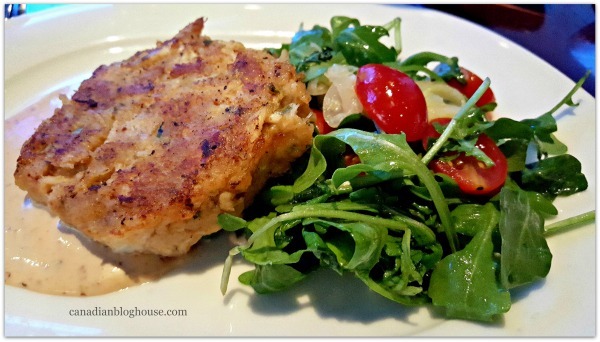 It was so tasty that I ended up craving – and ordering – crab cakes several times during our girls getaway. I developed a bit of a reputation, amongst the ladies, for eating crab cakes! 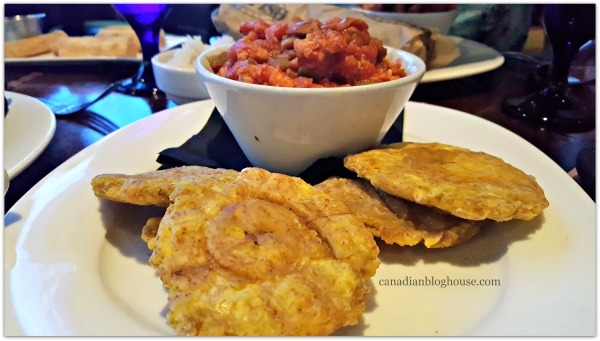 It was also at the RumFish that I tried plantains for the very first time! Thanks to Margarita, who explained that fried plantains taste best when nice and hot – and topped with butter – I thoroughly enjoyed these plantains. Of course, you’ll always find me anywhere there is a fun photo opp! Who knew I was so good at catching marlin! 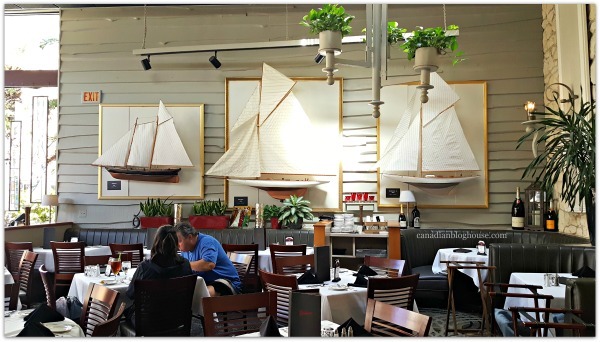 St. Pete Beach offers foodies plenty of great dining options along Gulf Boulevard, including at Selene Fresh Fare and Bar. 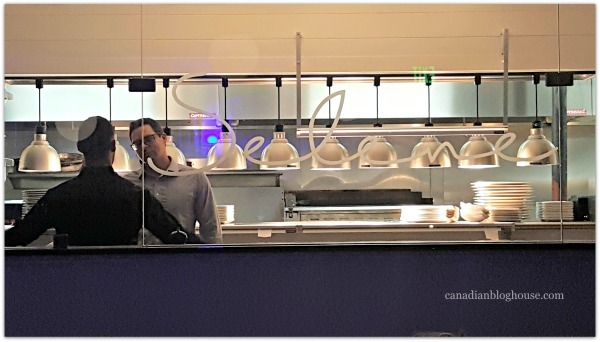 If you are a fan of delicious Greek cuisine, or are craving some great seafood, Selene Fresh Fare and Bar may just tantalize your taste buds like it did ours. 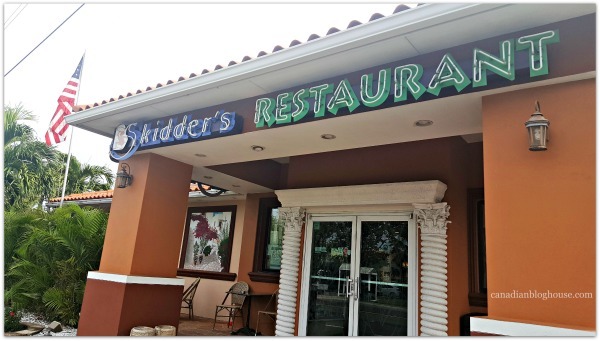 Skidder’s Restaurant, just across the street from the TradeWinds Island Resorts, was our choice for breakfast one morning. I was keen to visit this restaurant, having been there several times in the past with mum and dad. Just like our resort, this restaurant was just as good as it was back in the 80’s and 90’s. No wonder it is still around! From my experience, past and present, they serve up some terrific breakfasts and dinners! And speaking of a blast from the past, I discovered that another well-loved St. Petersburg restaurant we used to visit, Kissin’ Cuzzins, is still around. Of course, the name still makes me “tee-hee” every time I hear it. 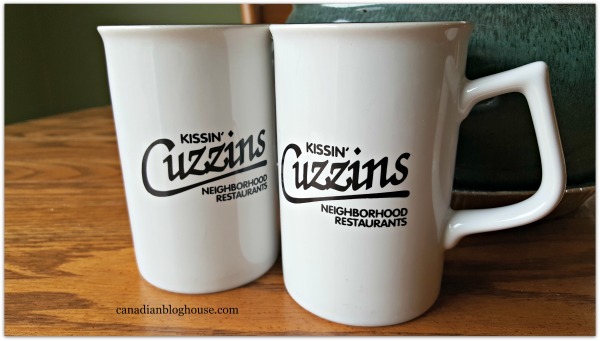 Kissin Cuzzins was one of mum and dad’s “must-visit” restaurants whenever they were in St. Pete Beach. In fact, we liked it so much, mum and dad bought the mugs – which I still have, of course! Museums are not usually on my list of places to visit while on vacation. I’m not sure why, except to say I usually look for more adventurous activities to participate in while vacationing. So, I must admit, a visit to the Dali Museum in St. Petersburg was not high on my list. Turns out, it should have been, and it should be on yours. For lack of more expressive words, I was blown away by this spectacular museum. 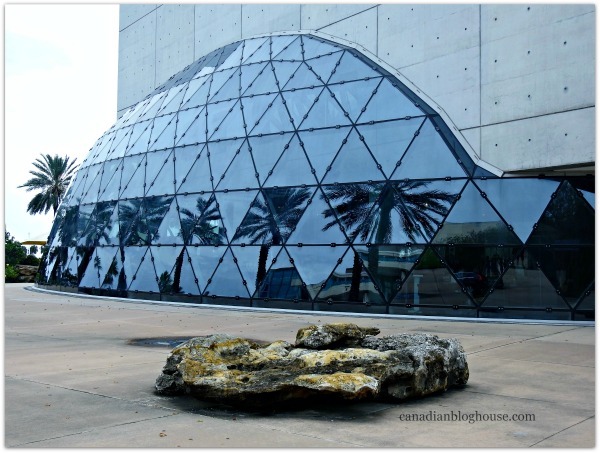 The Dali Museum building, the way the exhibits are curated, the gift shop, and the incredible winding interior staircase, is all work of art in itself. 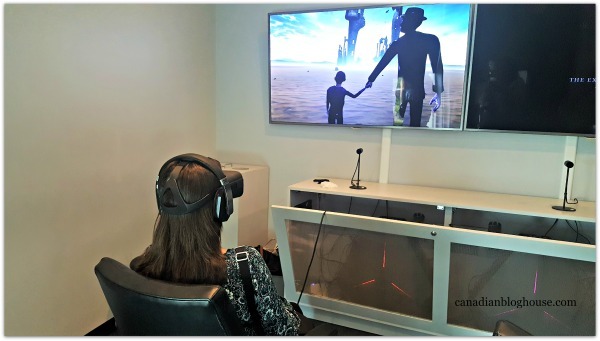 Be sure to take a moment to participate in a little Dali virtual reality. Slip on some VR goggles and you will be transported into the world of Salvador Dali. 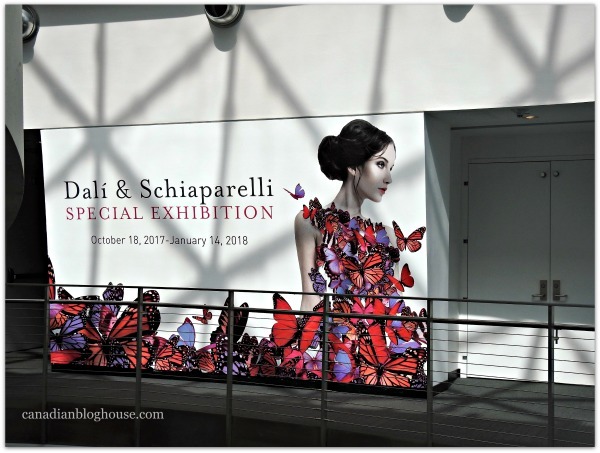 Experience what it’s like to be completely immersed in Dali’s art. 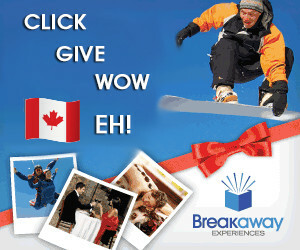 A mind-blowing experience! 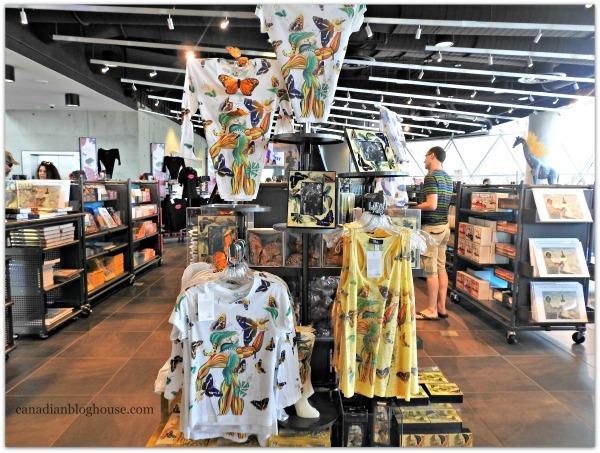 If you are a Dali fan – and even if you aren’t – save some time to explore the Dali Museum’s gorgeous gift shop. The merchandise selection is extensive – and absolutely beautiful! I completely fell in love with almost every pair of leggings they sell at this store. Seriously. So unique, so colourful, and so fun. 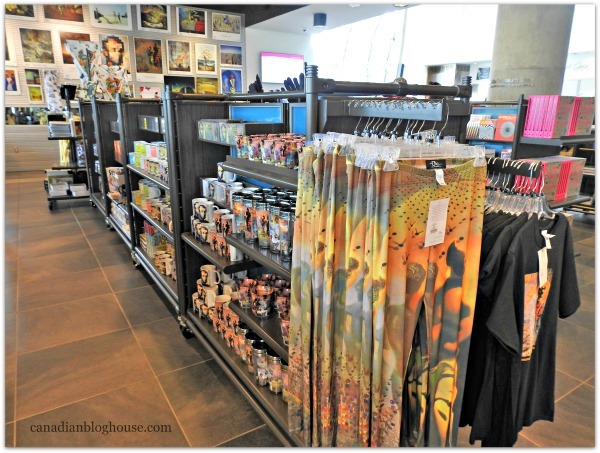 We didn’t have much time to shop but, I checked with the staff and found out that you can shop for many of these great gifts at the Dali Museum online shop! 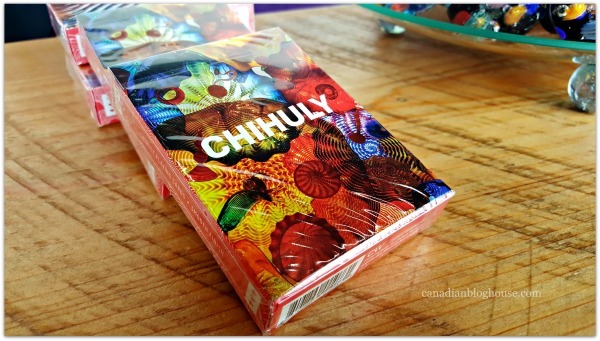 My experience at the Dali Museum completely changed my mind about visiting museums during vacations, and so I was truly looking forward to heading to our next destination – the Chihuly Collection at the Morean Arts Center in St. Petersburg. 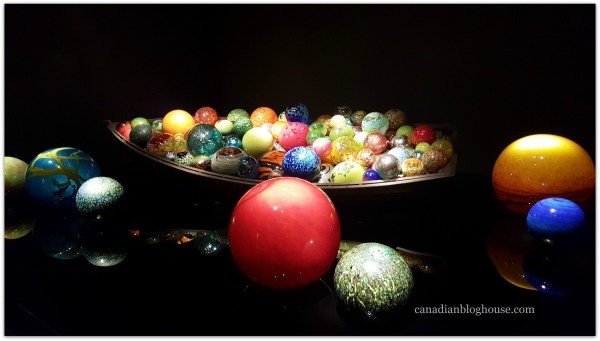 The lighting, the displays, and of course, the outstanding Chihuly coloured glass, is a feast for the eyes. So much beauty in one place. I’m not sure I could pick a favourite. 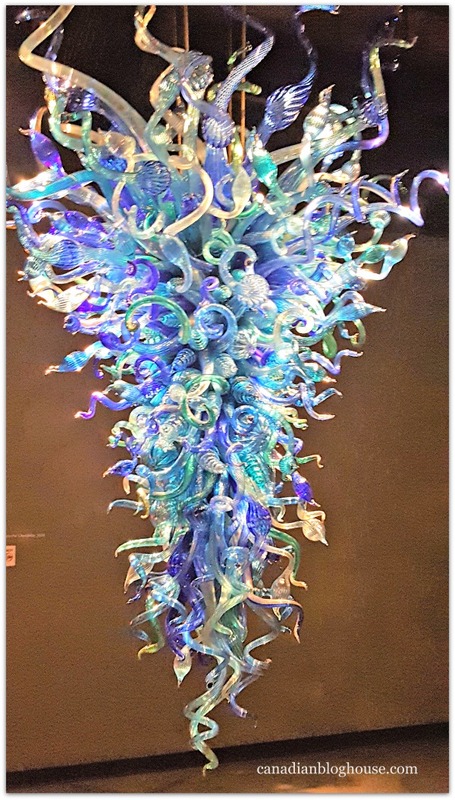 “This presentation is unique as it is the first installation of Chihuly art in a building designed specifically for that purpose. 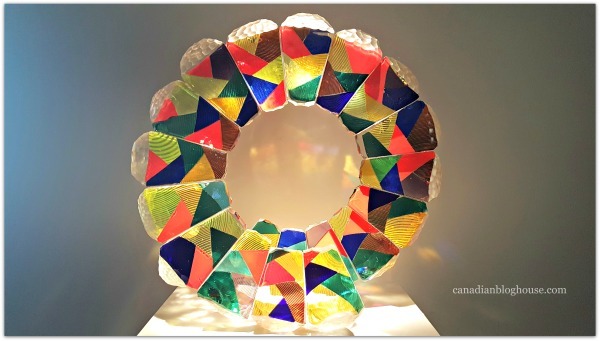 You can also catch a live glass-blowing demonstration at the Morean Glass Studio & Hot Shop. The live glass blowing demonstrations take place Tuesday – Saturday at 12PM, 1PM, 2PM, 3PM, 4PM and Sunday, hourly from 1 – 4 PM. No demos take place on Monday, but guests are welcome to watch artists during studio time. For any of you who have ever seen the beautiful glass ceiling at the Bellagio Hotel in Las Vegas – that’s the work of artist Dale Chihuly! 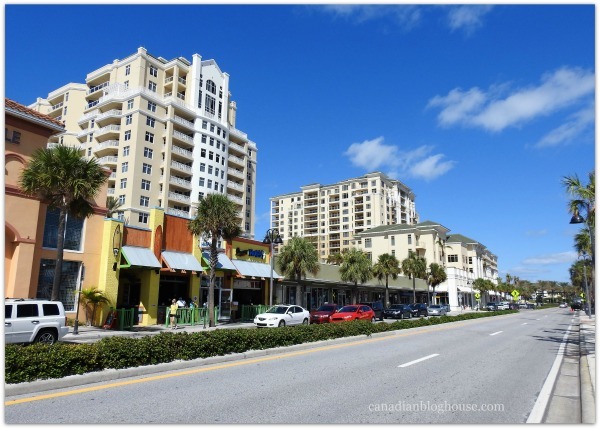 I love great surprises, especially when they involve exploring a great Florida vacation destination like St. Pete Beach. 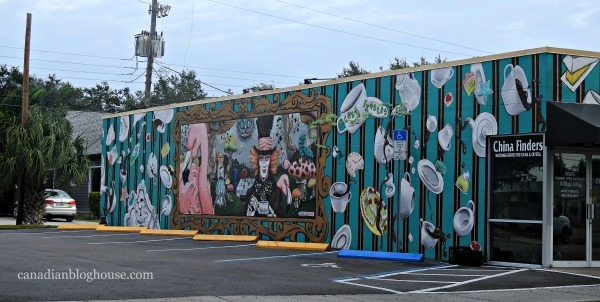 In the city of St. Petersburg, we discovered that Central Avenue is a mecca for unique shops, hip restaurants, fab craft breweries, and eye-catching coloured murals. Don’t blink or you might miss something great while driving along this main thoroughfare! Yes, these are likely pests to resident Floridians, however, after my visit to the Florida Keys, you know how much I love critters and creatures. 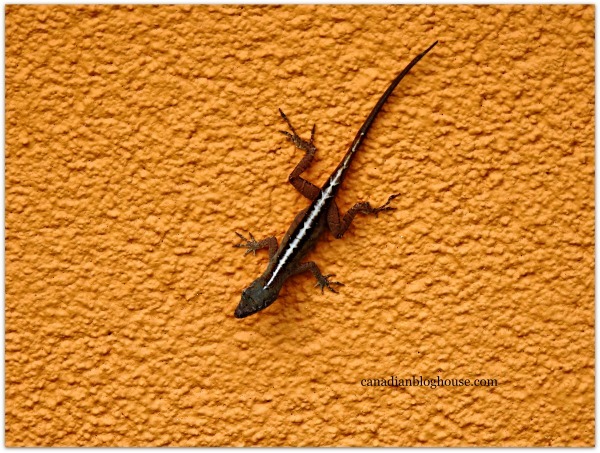 I just had to take a close up shot of this little lizard who was hanging off the side of a St. Petersburg building. For outdoor enthusiasts looking to check out a great local county park, Fort De Soto should be on your list. Although I did not get a chance to visit Fort De Soto park this time, I have visited several times in the past, and have always enjoyed this beloved park. With over 7 miles of waterfront, and 3 miles of white sand beach, there are plenty of things to do at Fort De Soto Park, including paddling a kayak from Topwater Kayak Outpost. Camping is popular at this park, with 238 camping sites available for rental…some literally steps from the Gulf. When you have a resident celebrity in the house…er…aquarium…you tend to attract a bit of attention. 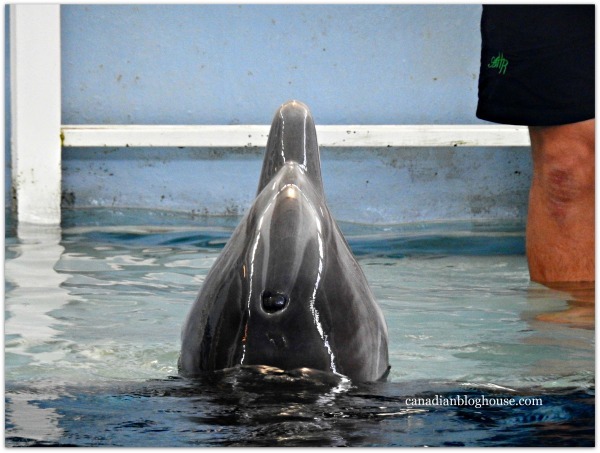 Meet Winter, Clearwater Marine Aquarium‘s star resident. 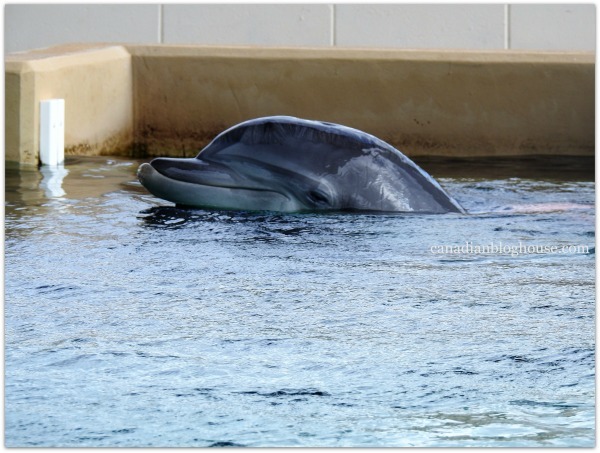 You may recognize Winter from the movie “Dolphin Tale” a movie centered around a boy who befriends a dolphin, who’s tail has been severely injured by a crab trap. Turns out, Winter’s tail was so severely injured by a crab trap that her tail required amputation. 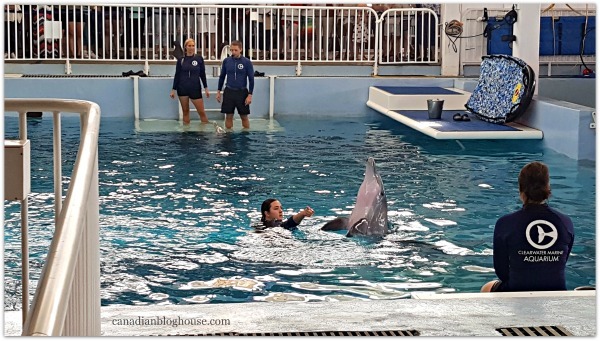 Today Winter lives a happy life at her home at the Clearwater Marine Aquarium, teaching visitors all about the dangers beautiful sea creatures like Winter face, in the open waters of the Gulf of Mexico. Winter thrills visitors with live performances but, this is not a typical dolphin show. 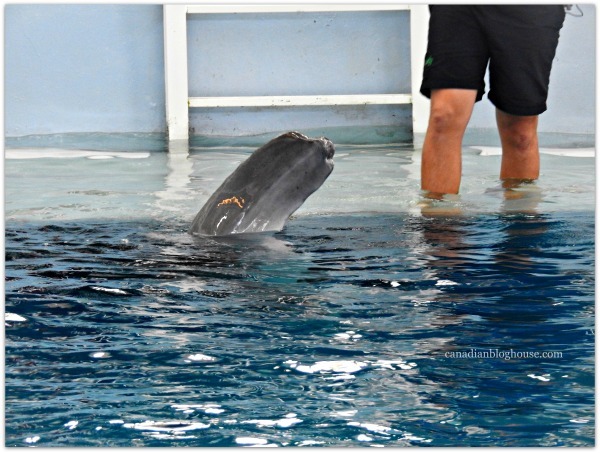 Winter performs exercises for the crowd – exercises that she requires for her health, her ability to swim, and her own entertainment. 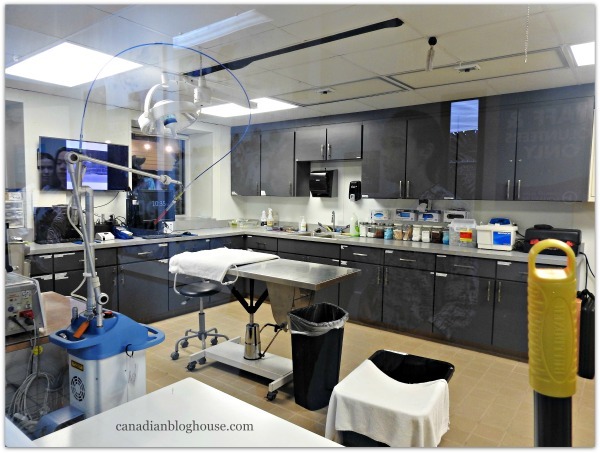 Visitors to the Clearwater Marine Aquarium can watch live surgeries taking place from behind glass windows just outside the operating room. Plans are underway to expand the Clearwater Marine Aquarium, as staff are currently working under cramped conditions. Unfortunately, there is a great need to have more space at this rescue, rehab, release facility for all the sick and injured sea life that are brought here. A recent increase in the number of sea turtles affected by the Firbropapilloma Virus, a virus similar to herpes in humans, which causes disfiguring and painful tumours on sea turtles, is resulting in a larger number of sea turtles coming in to the aquarium for treatment. 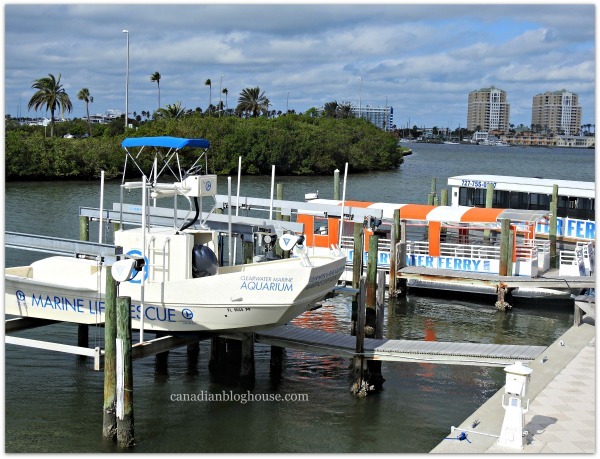 The Clearwater Marine Aquarium is a place the whole family will enjoy. 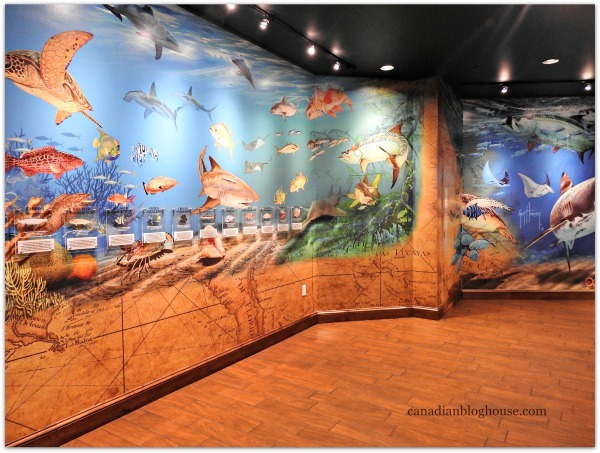 I guarantee you will leave the aquarium having learned something you never knew about the great creatures that inhabit our oceans. Please be sure to drop by in person, or online, and check out the huge Clearwater Marine Aquarium gift store. 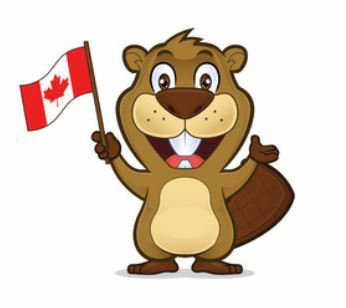 All proceeds from the sale of merchandise at the gift shop go to help the animals at the aquarium. I was starting to sense a theme in St. Pete/Clearwater. 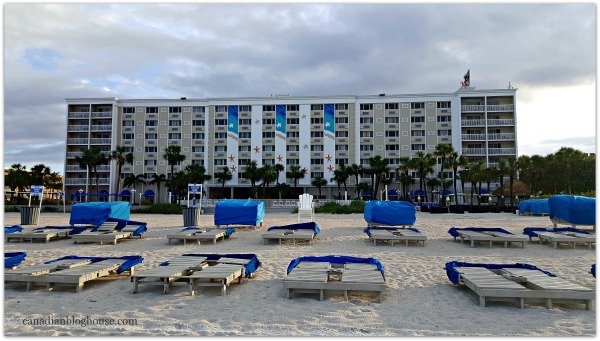 Great things stand the test of time, and there are plenty of restaurants, resorts, and attractions in this Florida vacation destination that have been around for years. 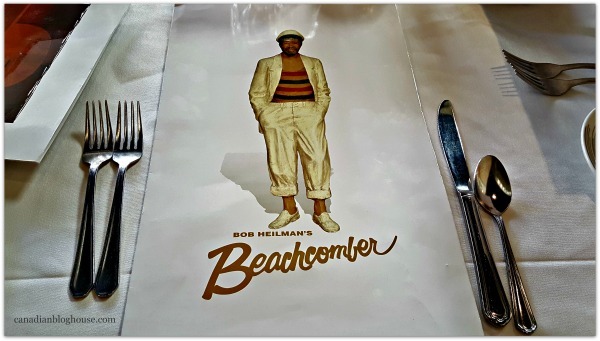 Bob Heilman’s Beachcomber Restaurant is one of them, and it was clear to us why – great food and great service. One of Clearwater’s most popular restaurants, Bob Heilman’s Beachcomber Restaurant has guests phoning a month in advance of Thanksgiving for reservations. We know this because we overheard a phone reservation while waiting to be seated. You know how some people say you can never go home once you’ve been gone too long. 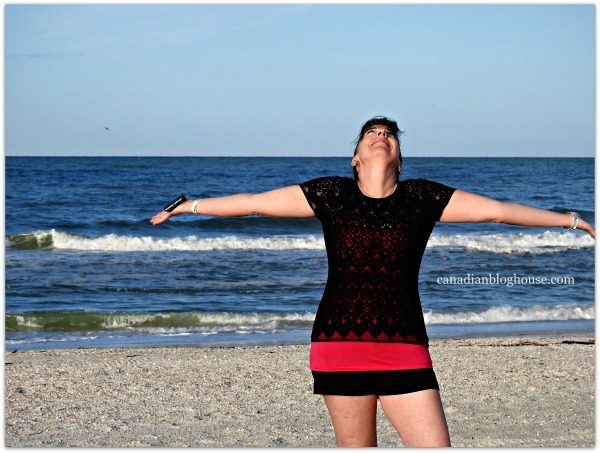 My trip “home” to St. Pete Beach was every bit as magical as it was the first time I set foot on that sparkly white sand. After all these years…I was indeed home. Great article Sandy. I’ve been there and loved it too. Thanks Lyse!! So glad you’ve had the chance to visit the area too, and loved it. Thanks for reading! !